Developers are honing in on residential development opportunities ahead of the implementation of the NSW Government’s New Parramatta Road project. A market review from CBRE highlights that developers have been buying up houses in one line with a view to capitalising on future rezoning opportunities that will arise from the project, which aims to transform the Parramatta Road corridor. The project is focused on the land adjoining and at least one block back from the 20-kilometre roadway, as well as eight identified growth precincts. It proposes that the majority of the residential development arising from the project will be concentrated in Auburn, Homebush, Burwood and Five Dock and facilitated by land use zoning changes. CBRE’s Manager, Capital Markets, Nick Tuxworth said canny developers were moving ahead of the project’s implementation to secure a foothold in the market. Recent acquisitions include the purchase of a collection of individual properties in Burwood for a total of $9.65 million. This comprised 2, 4, 8 and10 Hornsey Street, 2-4 Stanley Street and 7-13 Conder Street. Another significant sale involved 9-13 Gloucester Avenue, Burwood, which sold for $7.6 million. “Off market deals are occurring, with developers buying up houses in a line or offering options to home owners to purchase their properties subject to rezonings occurring as part of the New Parramatta Road urban renewal,” Mr Tuxworth said. Mr Tuxworth noted that developers were showing a particular interest in sites without development applications, believing they could acquire these more cost effectively and add value. “Whilst the market’s perception may be that development site acquisitions are slowing down, from the conversations that we have been having with developers, there is still significant activity,” Mr Tuxworth added. However CBRE’s Victor Sheu said the firm’s review included a note of caution for property owners and highlighted that further clarity on the government’s New Parramatta Road strategy was required to ensure that vendors and purchasers could compose deals that resulted in win-win outcomes. “Home owners likely to benefit from the New Parramatta Road uplift should be prepared in terms of understanding the procedure of selling amalgamated sites,” Mr Sheu said. 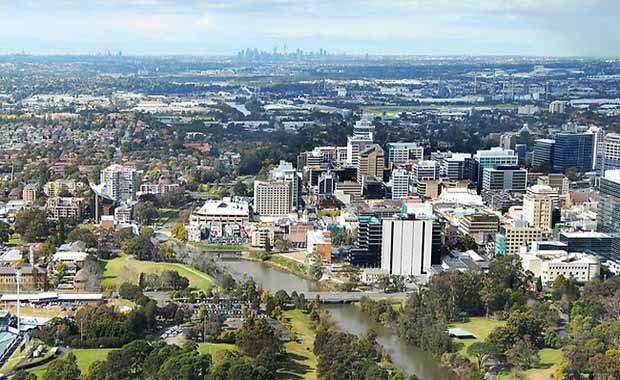 Urban Growth NSW is presently considering feedback and submissions received following public consultation on the draft Parramatta Road Urban Transformation Strategy, which was held between October and December last year.